Elite Roofing LLC are licensed and insured contractors specializing in all aspects of roofing. We provide quality and dependable roofing services including new roof installation, roof replacement, and roof inspections and repairs. We offer both residential and commercial roofing services and are proud to serve Moore County and surrounding communities. At Elite Roofing LLC, we recognize the importance of a strong, durable, and well-built roof. That is why we are certified installers of all the roofing products we install. We believe in our products and our craftsmanship, and we stand behind our work. With every roof we install, replace or repair we provide a product warranty as well as a craftsmanship warranty. Elite Roofing LLC officially began operations in Aberdeen, North Carolina in 2006; however, the beginning starts long before in that in Massachusetts. Owner and President, Tony Inglese, Jr. began his career in construction in the early 1990s primarily doing residential home remodeling and roofing, which grew into a new home construction business. With a drive to always do more, Tony Jr. began looking for a change of life with more business opportunities. In 2006, he decided to move his business to North Carolina. Tony Jr. quickly became frustrated with the lack of quality roofing contractors in the area and recognized the need for a dependable, quality roofing company. At that time, he decided to start Elite Roofing LLC. Elite Roofing LLC’s commitment to quality products and installation, professional training, and dependable character has earned the company a superior reputation in the roofing industry. Today Elite Roofing LLC is known as one of the best roofing companies in Moore County North Carolina, and is proud to serve all of Moore County and surrounding communities. About The Owner, Tony Inglese, Jr. Serving as the company’s leader, Tony Jr. drives the strategic direction of the company. He plays a critical role in all aspects of the business from overseeing daily operations to managing employees, sales and marketing initiatives, and financial planning. 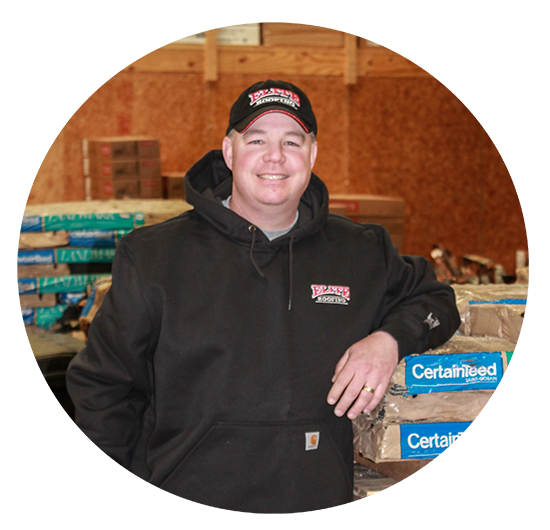 Tony is a licensed general contractor and has more than 25 years of knowledge and experience in the home construction and roofing business. He has always had a passion for working with his hands and enjoys the challenge of taking something and making it better. With a drive to always do more and a commitment to high standards of quality, Elite Roofing LLC could not have a better leader. An avid hunter and fisherman, Tony enjoys the outdoors and loves to spend time with his family going camping and boating.